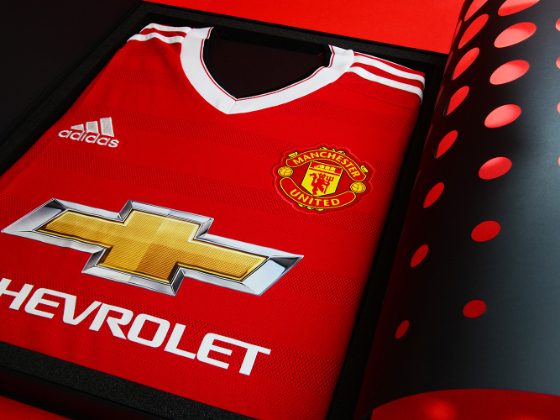 We partnered with creative agency Colt who commissioned us to produce several hundred press pieces for the highly anticipated launch of the new Adidas Man United 2015-16 season shirt. The piece needed to be slick, beautifully finished and have a real sense of occasion on opening, with layers of unveiling and intrigue part of the journey. 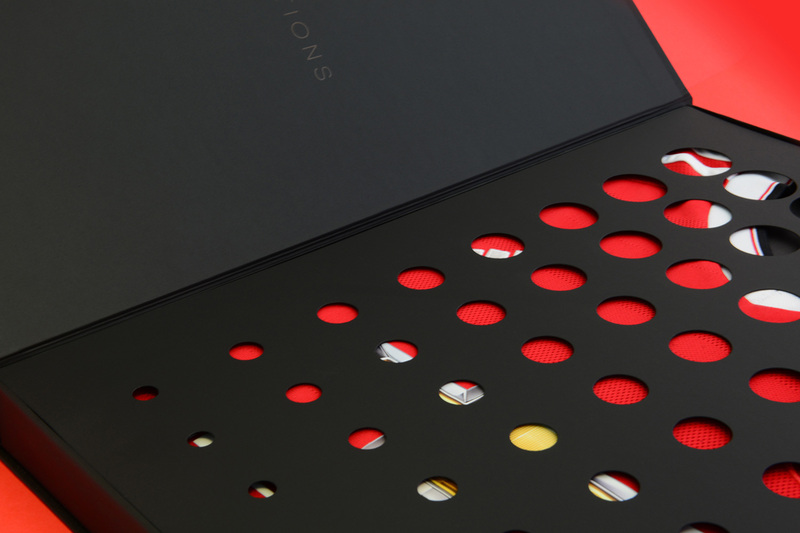 The outer was an oversize A3 slipcase covered in a sumptuous black Fedrigoni Ispira Nero wrapping paper: soft touch and beautifully flat matt. 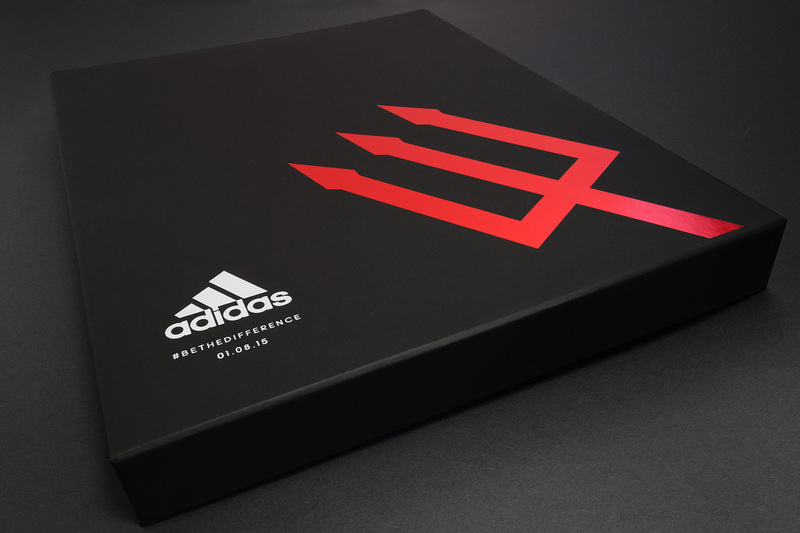 Front graphics included a large red metallic trident, in line with Man United’s current campaign (#BreakExpectations), and a simple white and very familiar Adidas logo and product launch date. Other than that, just a piece of red grosgrain ribbon at the top end was all that was needed to lead you in. 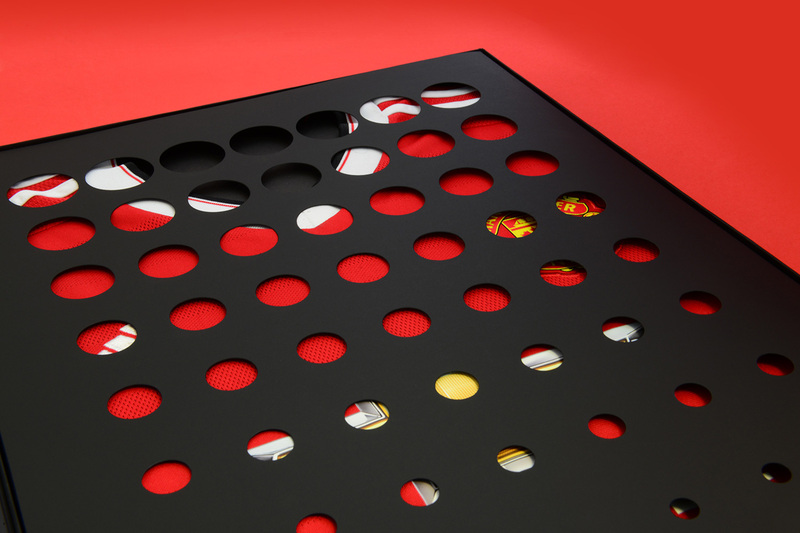 With the opening to the top of the slipcase, the box jacket itself was covered in Ispira Nero, but with a gloss black foiled iconic Man United ‘M’ emblem and all over graphic pattern. 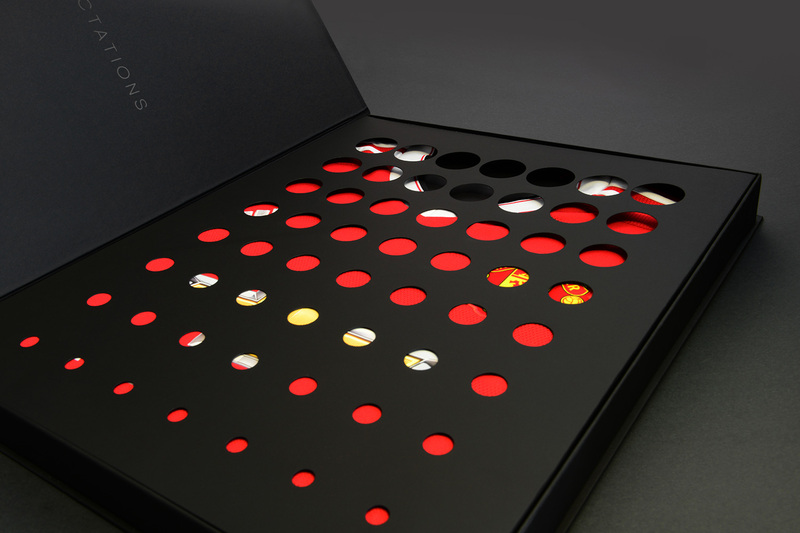 To the inner, a simple line in gloss black foil ‘BREAK EXPECTATIONS’, with a further card layer in a 360gsm card weight of Ispira, hinged to the right of the box with a glimpse of the shirt showing through the intriguing die cut pattern. Inside, a foam tray and stiffener card to hold the pristine shirt in place. 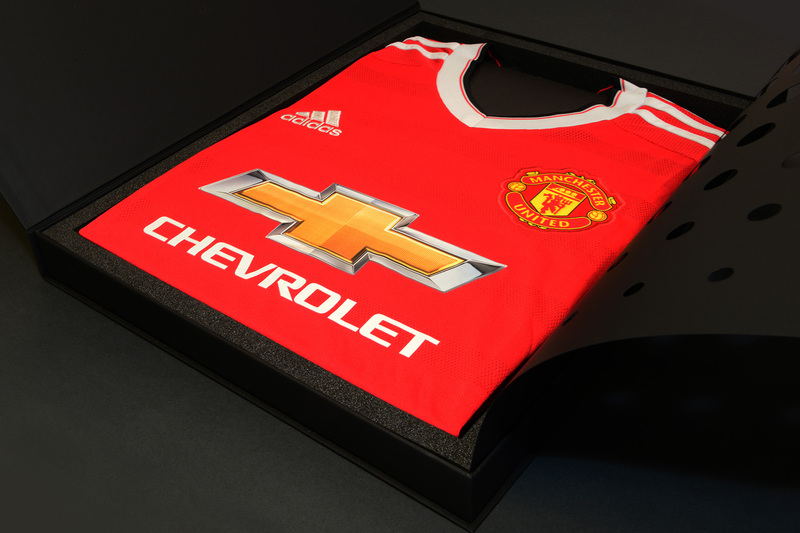 A premium package in a tight time frame, a customer with 100% faith in our expertise in terms of materials and effects, sizing and presentation. 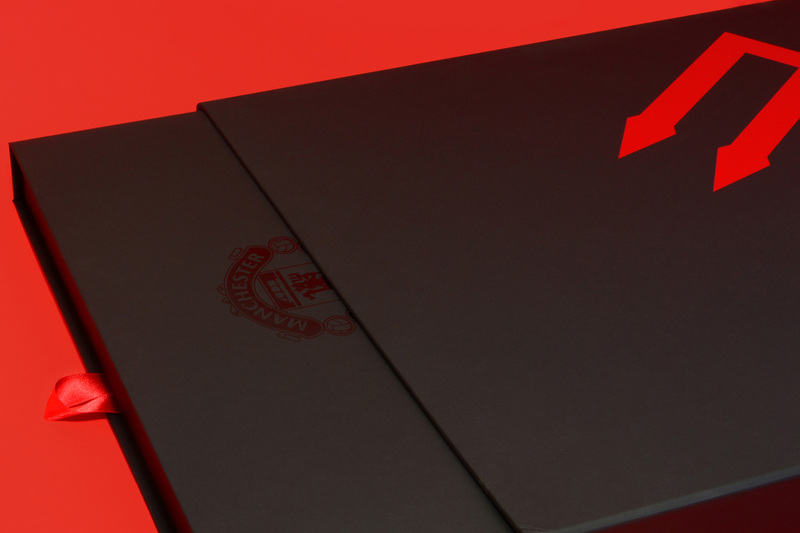 A second order for more boxes followed shortly afterwards, delivered in an even tighter time frame, on time and again in pristine order.